sportsskater: Sports: News-Editorial: Award-Winning Evansville Photographer: Molly Bartels specializing in editorial, wedding and art photography in Evansville, Indiana. "When you're in the air doing a jump, it's almost like you're weightless. 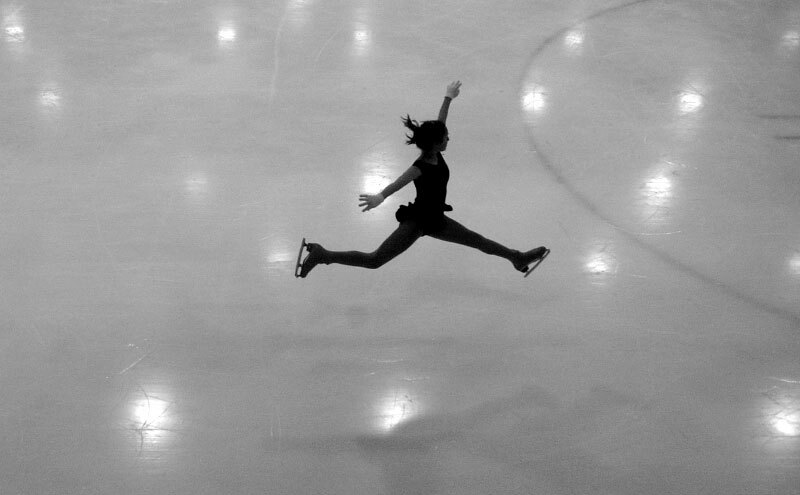 You feel free," said Elyssa Bloom, 16, after she practices a jump at the Space Coast Iceplex in Rockledge. Elyssa has always lived in states with warm climates but has not let that deter her from pursining her sport. She makes the 40-minute drive from her home in Sebastian to Rockledge several times a week so that she can practice.